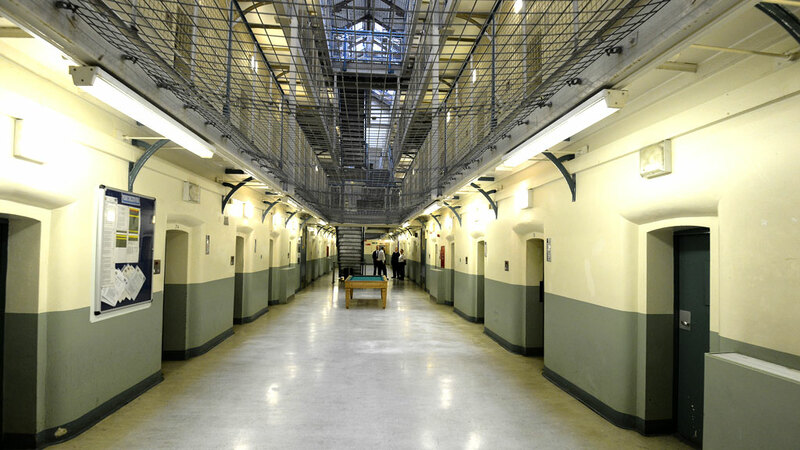 The Queen's Speech:- Is prison reform coming at last? As a prison reformer and lover of just justice, I am glad there is a Secretary of State who has their bit between their teeth on prison reform. I’m less delighted by the actual proposals which are not the bold reform a system as broken as ours needs. Trade unions and the BBC were conspicuous by their absence in Wednesday’s Queen’s speech, making room for a focus on prisons. After the Austerity Arbiter Chris Grayling carved up the probation service (from which the criminal justice sector is still reeling) enter Michael Gove "The Reformer" and so cue still more uncertainty and disquiet. There has been a deterioration in our prisons in the last few years: an upward trend for deaths in custody, increased self-harm, cuts to staff, more riot squad call outs, high staff attrition and the ongoing problems created by ‘legal highs’. The recent HMP Wormwood Scrubs report and the MoJ’s Safety in Custody both providing substantive evidence of the downward spiral. The numbers are shocking: last year 100 people took their own lives in prison, compared to 79 in 2014 Our prisons are in a mess. A dangerous, life-taking, person-harming mess. Are these the conditions in which to devolve power and encourage free school-esque autonomy? The state and our society are largely responsible for the current situation, is it fair or reasonable to expect one individual to fix it? Incarceration could provide the opportunity for the delicate re-assimilation of lives and minds into a non-criminal identity. In its current form it further brutalises and increases the likelihood of re-offending. Many people in prison have been failed by institutions (local authority care, mental health facilities, juvenile detention centres), family, friends and other people their whole lives. One could ask why someone in prison would or should one care for a society that seemingly cares so little about them? When people are being murdered and violently assaulted in record numbers and there is no national outcry, is the social contract beyond repair?sometimes life long and usually devastating as the crimes may be. This is a process that we should know well as Christians - reflect, identify brokenness, receive grace, live differently. We know from repeated life experience that this is usually not a straight line but a cycle, hopefully a cycle that spirals upward, with less frequency - but it isn’t always so and there needs to be grace for that for us all. Even if you think it’s some kind of natural justice that people who have violated the law are held in these conditions in a 21st century democracy, surely we can agree that expecting staff to work in these conditions is unacceptable. On election day last year I met a fellow activist who was a former prison officer, now retired early having suffered a brutal, near-death attack. He only had his life saved by the actions of other prisoners. This is avoidable. Entirely avoidable. It is a result of policy and ideology, pure and simple - not some bizarre, inexplicable trend or something in the water. experienced staff; it meant reducing staff numbers which in turn effects safety, security and (re)habilitation; it meant closing prisons and doubling up with bunk beds in cells - with one prison running at 193% of their capacity; it meant slowness and ineffectiveness in dealing with an increasing “legal high” or NPS problem; it meant implementing Transforming Rehabilitation probation reforms with myriad teething problems as demonstrated by the numbers now leaving the Scrubs without accommodation. Or the story of two women leaving HMP Bronzefield who had nowhere to live and so were given tents. The impact of those who are held in and work in our prison is avoidable. There didn’t need to be a rise in serious assaults on prison staff from 477 in 2014 to 625 in 2015. More radical reform is needed based on relationship, hope and alternatives to custody. We know a profound truth about the relational nature of God, humanity and how this can heal not just individual relationship but societal structures. Relationship is at the core of any pursuit for justice and a full understanding of it. If we want less harm, less victims, a safer society - we have to take responsibility for what is happening in the criminal justice system in this country. It is part of our society, part of God’s family and we can no longer ignore the stories we hear from it or just deal with the issues by triaging people on a case by case basis. The huge ethnic dis-proportionality in our prisons highlights the systemic nature of the issues we are considering. The scale of the problem should not deter us. Boldness and courage are virtues. This is our problem, not least because our taxes pay for it or because we may be victims of crime. We are a people of love, who are called to facilitating freedom and healing in all places. Certainly the governance and structures in this, the most restrictive of contexts, desperately needs it.